Home8.09 Acres at Shell Rd. & Wildwood Dr.
8.09 Acres at Shell Rd. & Wildwood Dr. Approximately 8 acres of heavily wooded land. 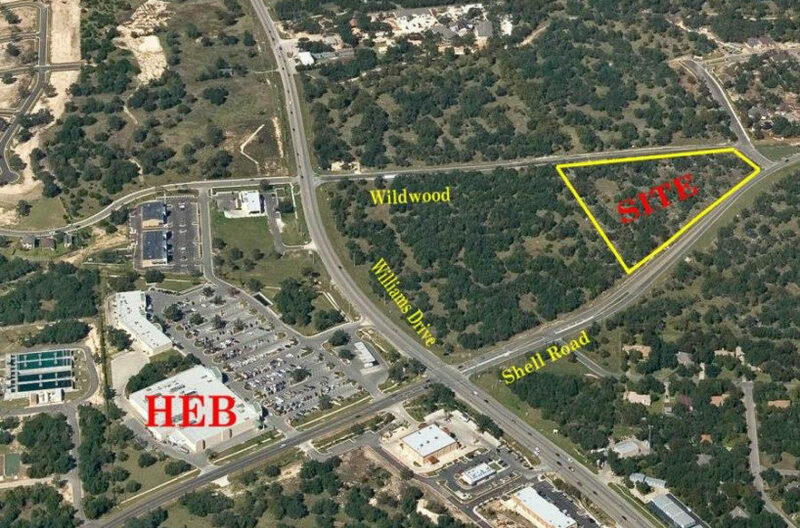 This parcel is an ideal retail/office property located in the heart of Georgetown’s prime growth corridor. Zoned ‘C-1’, Local Commercial; Century Plan Intensity Level 5. Both zoning and intensity levels are adequate for the retail/office development of this property. Water and sewer are available to the site from the City of Georgetown. Pedernales Electric provides electric service. Gas service provided by Encore, Verizon provides telephone service.